This business law assignment will explains various concepts Sales of Goods and Services Act like implied terms, remedies of buyer, etc. it will also cover the protection given to the consumer’s through the Consumer protection Act for the supply of defective goods. Product liability is another aspect which has been explained in this report with the application in a situation. Another concept which is covered is derived from the Credit Agreements Act. Different types of credit agreements are been explained in this report along with the restriction over their usages. Even the concept of termination and default of regulated agreements is tried to explain. Another field covered by this report is agency. The creation of agency and agency’s authorities will be described along with the rights and duties of the agent. Thereafter this report describes the concept of monopoly and different business organization working for the same. Lastly, the different types of intellectual property are been elaborated in this report with their implications and methods of preserving the same. Section 13 of Sales of goods and Supply of Services includes implied condition on sales of motor vehicles. It says that every contract related to the sales of a motor vehicle excluding the contract with the buyer dealing in sales of motor vehicle, an implied condition applies. This implied condition states that at the time of delivery, the vehicle delivered in accordance with the contract should be free from any defects rendering danger to the public, including the persons travelling in the vehicle (legislation.gov.uk, n.d.). In the present situation it becomes the duty of Emmanuel to deliver the car free from all the defects which may cause danger to the public life, according to implied condition mentioned in Sales of Goods and Supply of Services. Here Emmanuel promised John to carried out the agreed repairs and the repairs where been made. But before the information is made to John the car gets destroyed in a fire. Now Emmanuel is liable to pay back the advance money given by John as a situation is created where the performance of contract is impossible. Hence the contract gets terminated and Emmanuel becomes liable to compensate Joe for the losses suffered by him. An action can be maintained by buyer against the seller for the injury suffered due to non-delivery of goods, due to the neglect or refusal by the seller for the delivery of goods. The consequential losses include the losses made due to breach of contract by the seller either directly or naturally during the ordinary course of events. Receiver:A receiver is appointed by the court for taking custody, managing, and preserving money or property subjected to litigation in regard with the availability of property for the accomplishment of order, when the final judgment is rendered (TheFreeDictionary by Farlex, 2014) In the present situation we can conclude that James, David and Paul ordered 200, 200 and 600 computers consequently from Joe and give all the payment in advance for the order made. In spite of knowing the fact that there are only 500 computers in stock Joe entered into sales agreement with them. Joe becomes insolvent thereafter. Now claim lies for James, David and Paul as there is a breach of sales agreement by Joe. Now receiver should consider the claim and then ascertain the assets of Joe. In this situation Rachel suffered losses due to the drink supplied by “Fox on the Hill” for which compensation should be given regarding the losses suffered. Due to the supply of defective drink by “Fox on the Hill” and injury suffered by Rachel in result makes the pub liable for the losses. If in this situation George would be the manufacturer of the drink, then the liablity for the losses incured by Rachel would lie upon George and not on “fox on the Hill”. As the loss incured due to involvement of manufactuiring defect which cannot be influenced in any circumstances by the supplier. Therefore George will be held liable for the losses. The manufacturer will be held liable if any of the goods suppliers is defective under the Consumer Protection Act 1987. Along with this under the statutory law over any injury that the product causes will make the retailer, manufacturer, supplier and distributor and this liability is not taken as the liability mentioned in the contract (pinsent Masons, 2011). Defective goods:Under this Act, goods which affect the safety of the consumer including not only personal injury risk but also property risk (pinsent Masons, 2011). Remedies of buyer for defective products over seller: Under Part 1 of Consumer Protection Act, various liabilities arise over suppling of defective products. In this Act, products that are used at work and products that are used by the consumers, both are covered. Through this act strict liability is imposed over the manufacturers of the defective goods causing harm to the consumer. This imposition of liability gives consumer right to sue for damages without proving that the manufacturer was negligent regarding the same. Product liability: Product Liability deals with the cases resulting in personal injuries. These things arise from the Consumer Rights which are overcome for avoiding harm. Protection of interest and rights of consumers are considered to be the basic principle of Consumer Protection. The responsibilities on the part of manufacturers or retailers are been possessed by this law to consumers. If any disputes arises regarding the same then the consumers are guaranteed with the remedies and settlement of dispute in accordance with this law. If the standard quality of goods and services are not been provided to the customers, then the consumer is entitle to claim remedy under Consumer Protection Act 1987 (LSI, 2014). Here in the present situation the hotel is liable for the losses incurred by Rebecca, as the quality of services are not been provided by them. The product liability concept bound the hotel management to avoid harm caused to their customers from the services provided by them. Hence Rebecca is entitle for remedy for the losses incurred by her due to lack of quality services made by the Hotel. Consumer credit agreement:It is a type of agreement made between an individual (debtor) and any other person (creditor) in accordance of which a credit amount is given by creditor to debtor (legislation.gov.uk, n.d.). Debtor-creditor agreement:This is considered as a restricted use of credit agreement which is not created by creditor for any pre-existing arrangement or in contemplation of any future arrangements between the creditor and the supplier (legislation.gov.uk, n.d.). And along with the all above mentioned situations the “restricted-use credit” shall be construed accordingly (legislation.gov.uk, n.d.). In this situation the bank can terminate the agreement as the basic condition of the agreement is violated by John. This situation would fall under the restricted use of credit as nothing was mentioned in the agreement which would provide a right to make use of the credit for any purpose by John. Hence, the loan would be sanctioned only for the purpose of buying car and if such purpose is changed then the bank gets right to terminate the contract. P 2.2 Examine the rules on termination rights and default notices to advice Mr. Ali of his legal position. Rights:The debtor has a right to terminate the agreement at his/her desire in the case of a regulated hire purchase or conditional sale agreement. For this there is a requirement of a notice to be served to the finance company or its agent. Along with all the debtor or hire needs to clear all the dues and pay about 50 percent of the cost of the goods. Default:The debtor is said to be in default when the payments are not made in time under this situation the goods can be repossessed. When the one-third amount of the goods has been paid by the debtor then the repossession can only be made through court (Fullerton&Knowles, 2014). In this present situation Mr. Ali has paid more than one-third of the amount of the car. Along with this no default has been made in regard with the payment. Hence repossession cannot be made. P 2.3 Differentiate the statement with particular reference to “Agency creation and Agency Authority. Creation of Agency: A person who is legally qualified to enter into an agreement, then he/she can either himself or through other person can create a contract. Agency is created when the person enter into a contract on behalf of someone else who appoints him/her to do so (Laws of Business, 2012). Agency Authority:A person appointing an agent authorizes to act on behalf of him/her and along with this even gives power to get indulge in authorized contract representing the principal. Agency is authorized when an agent is working under control of the principal. In accordance with all this, the principal will be held liable for every wrong done by the agent during the course of the assigned work. This authorization can be made either in a written for or can be concluded through the conducts. P 2.4 Evaluate the above two scenario in light of the ‘Rights” and “Duties” of an agent. Secret profits should not be made by agents by using the principal’s reputation. All the instructions given by the principal should be followed by agent. The transaction should always be run on behalf of company’s name by the agent. Proper accounting records should be maintained by agent for enrolling the transactions run by him. The entire amount should be remit by agent to principal in a proper manner. The property of principal should be safeguard by agent predominantly on the happening of certain events like insolvency of principal, death of principal, etc. In the present situation there was an agency formed for a fixed period of 10 years. In a fixed term agency, the principal does not have right to terminate the agency before the expiration of the term, except for sufficient cause. Therefore, here Joe will not be consider liable for the termination as due to destruction of factory by storm leads to insolvency for Joe. Hence no legal action lies by Jude for loss of income as termination was made due to a sufficient cause. Anti-competitive practices:In UK monopoly is demarcated as covering 25% of the market share of any particular business. Occasionally the business of this nature is battered, as it is having a lot of market power. One of the most common forms of abuse is ‘anti-competitive’ practices where efforts are made by large business to create problems for smaller businesses basically to make them out of business. Pressurizing the retailers not to stock the products of competitors or to stock them disadvantageously. Pressurizing the suppliers not to supply to competitors. Monopolies &Restrictive Practices (inquiry & Control) Act 1948 & Monopolies & Mergers Act 1965:Competition Commission is set up by these Acts along with the power to lump business deals e.g. mergers that are ‘against the public interest’. Restrictive Trade Practices Act 1956 (goods) & Restrictive Practices Act 1976 (services):for the decision of restrictive and acceptable practices a court is set up. For the decision regarding the same each business should go to these courts. Fair Trading Act 1973:Monopoly has been defined by this act as sharing 25% of the market. Competition Act 1980:this act grants a power to the Minister in charge regarding the investigation to be made for monopoly practices if it seems to be necessary. Telecommunications Act 1984:Through this Act the Competition Commission got an independent recognition from the government. The office of fair trading:The Office of Fair Trading protects and promotes consumers interest in UK, along with this ensuring them fair and competitive businesses. Its job is to make market conditions good for consumers and this could be done when the markets are in open, fair and vigorous competition with each other for the consumer’s custom (European Consumer Centre for Services, 2014). Article 82 of the European Union Treaty states that if any kind of abuse is made by one or more undertakings of a dominant position in a common market, then it should be stopped and should be considered as mismatched within the common market affecting the trade among Member States. Market of Dominance has been explained as economic strength position of undertaking for the prevention of effective competition giving power to behave to its competitors, its consumers and ultimately of the consumers. Abuse of Dominant position, it is a behavior adopting methods other than the normal competition in products and services for affecting the maintenance of the degree of competition existing in the market or the growth of that competition. The European Law does not adopt the policy of punishing the dominant position enjoyed rather they punish the abuse of the dominant position. The agreements not imposing disproportionate or unnecessary restrictions on the contracting parties. New Block Exemption Regulation: This regulation exempts certain categories of vertical agreements and concerted practices from the application of Article 101. An agreement which falls under Block Exemption Regulation should satisfy the conditions given above, resulting the parties to ‘vertical agreements’, which means agreements made between undertakings operating at different levels of the supply chain like supply, distribution and franchise agreements, modeling there agreements according to the parameters of the Block Exemption Regulation. Safe Harbour Rules: The supplier should not have more than 30 percent market share for enjoying the benefit from the Block Exemption Regulation. The market share requirements are referred to as the ‘safe harbour’ within which an exemption can apply. Intellectual property as the name suggests in the right or property of the mind, it is the result of creativity, an intangible asset and these are the creations that come through a person’s mind and intellectual rights protect these rights (Loh, 2013). Copyrights:Copyrights basically protect the literary rights of a person, it gives the creator exclusive rights to it for an original work, usually for a limited time. Some skill, labour or judgement must have been used in the creation of the work for this right. (business and IP centre, (n.d.)). Patents:A patent is given by the government to an inventor, granted for his/her invention. A patent grants an inventor the right to exclude others from making, using, selling, offering to sell, and importing an invention for a limited period of time, in exchange for the public disclosure of the invention (business and IP centre, (n.d.)). Registered Designs:These designs protect the visual design that are eye appeal of a thing or object that are not purely utilitarian. They consist of the creation of a shape, configuration or composition of pattern or colour, or combination of pattern and colour in three-dimensional form containing aesthetic value. (business and IP centre, (n.d.)). Trademarks:A trademark is a recognizable sign, design or expression which distinguishes products or services of a particular trader from the similar products or services of other traders. These rights show the point of origin of a product which helps in differentiating the goods and services belonging to one trader from the other and have various forms like shapes, colours, slogans, logos and sounds. (business and IP centre, (n.d.)). A person who has filed and obtained a patent has the right and power to take any legal action to forbid the other person from manufacturing, selling, importing or replication of the patent without his/her permission. A patent holder has the right to sell his/her invention. He/she can also sell the intellectual rights related to the invention. A patent holder has the right to give license of the invention to other party or to give benefit to the public as the invention would be published after a period of 18 months of the obtainment of the patent (IPO, (N.D.)). Infringement of the copyright: A person is guilty under the violation of copyright if he/she is found practicing any of the above mentioned points in a deliberate or unintended way without the permission of the copyright owner. In case of infringement, one needs to make sure that it does not fall into copyright exceptions. And if the above two conditions are fulfilled the copyright has the right and power to take any legal action against the violator and can claim damages, injunctions. The use of a company name can infringe a registered trade mark: The name of your company is very important as the company name that is similar to a registered trade mark would violate the trademark which is already registered. Therefore, one must check the name in the registered companies as well as in the trademark registers before the registration of their company name The infringement of a registered trademark may take place even if the use of a company name began before the date of a trade mark registration This is applicable only if the name is used in a specific locality, and it is so extensive that passing any action could be brought against the owner of the trade mark registration and the owner of the trade mark has no use earlier by himself of the trademark in question The trademark is registered for a limited period and business name can be everlasting. Therefore getting a company registered does not mean getting a trademark registered for the company, hence for avoiding the risk involved every company along with registering the company name should also get the registration done for the trademark used by the company. 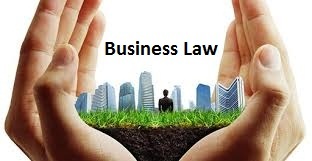 Various topics of Sales of Goods and Services have been elaborated in this business law assignment including what all remedies are entitle to the buyer and the meaning of implied terms in this context. This has been supported with the protection provided under the Consumer Protection Act to the consumers for the defective products. Even the product liability and its imposition in business management situation have been explained in this report. It has been noticed that this report focus on Credit Agreement Act by explaining different types of credit agreement and even the rules for the termination and default made for the same. Another topics covered by this report are Agency and Monopoly. In support of agency, the creation and authority of agency has been described. Whereas for monopoly the meaning and the organizations involved for the same has been given in this report. at the last this report support the concept of intellectual property by explaining its different types and the implications regarding the same.